Grace Episcopal Church is celebrating its 175th anniversary and working to ensure the church’s legacy. 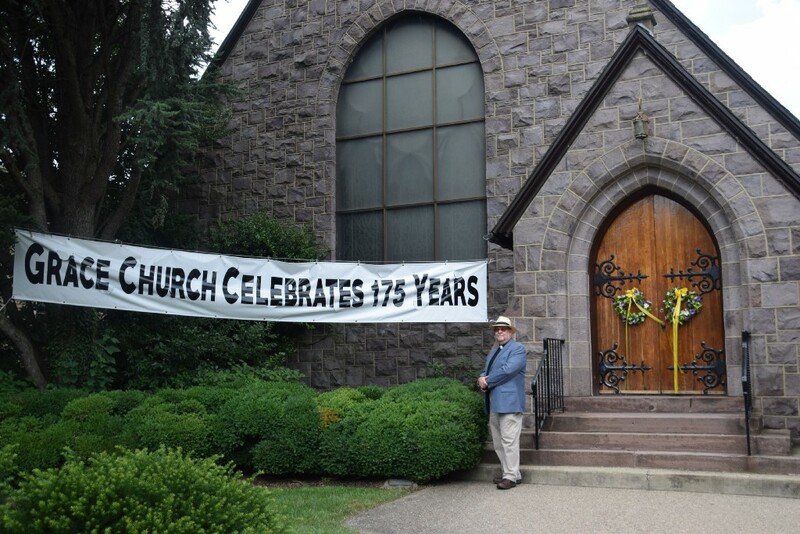 Grace Episcopal Church in Haddonfield turns 175 years old this September. The Church has sat in the same spot on Kings Highway despite seeing numerous changes to the physical building and congregation over the years. Reverend Dr. Patrick Close stands outside the church ready to welcome anyone in. Lynne Ryan recalls the Grace Episcopal Church of her youth being an intimidating place. There was no eating before communion, women covered their heads and Holy Days were taken very seriously. Ryan, 73, has been a lifelong member at Grace Church. She was married at Grace and had her children baptized there. She said she has seen the church undergo a tonal change over time, becoming a warm and welcoming place in recent years. Ryan has been both witness and participant in a chapter in the church’s history, and as the church celebrates its 175th year, she and other members of the congregation are working to ensure the church’s legacy is preserved and future is secured. As organizer of the church’s 175th celebration committee, Ryan and her fellow committee members are compiling the church’s history, digging up a time capsule and organizing a 175th anniversary dinner in September to fundraise for the church. “We’re celebrating the fact we’ve been here 175 years, and we’re indebted to those people who laid the groundwork,” the Rev. Dr. Patrick Close said. The church was founded in 1842. 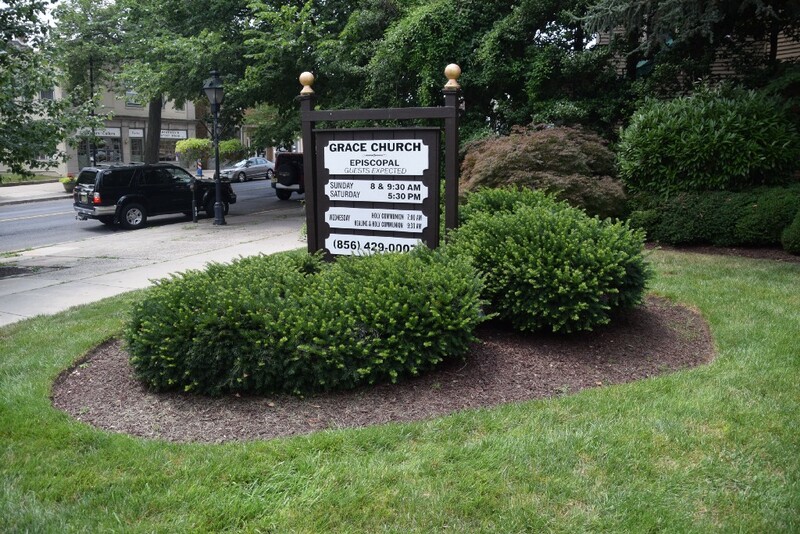 The first church building was a white wooden structure on Kings Highway on the same plot where Grace resides today. In 1891, the finished stone structure that resides on Kings Highway today was completed, and the wooden church became the church’s first parish house. Nearly every church wrestles with upkeep of the building, Close said. Over the years, the three buildings on the campus — the church, the parish house and the rectory — have all required maintenance and upkeep. However, according to Close, Grace’s legacy is not about any physical structure. “The church is the people — not the building — and I think what keeps us going here is some wonderfully committed people that want to be here and want to be part of this [church] community,” Close said. He said since the church’s founding, it has always been a presence in the community. Close said the church has endured, in part, due to its willingness to adapt to the times. Close said in 1974, for example, the Episcopal church began ordaining women. Today, the church ordains gay and lesbian men and women. Despite facing the same changes many other churches are experiencing, Grace has continued to stick around for more than 100 years due to its welcoming atmosphere, Close said. In the 1950s and 1960s, the church opened its doors, and people just came without question. Today, however, Grace has attracted people not out of obligation but by setting an inclusive tone. Over the years, Grace’s congregation has seen changes, Close said. 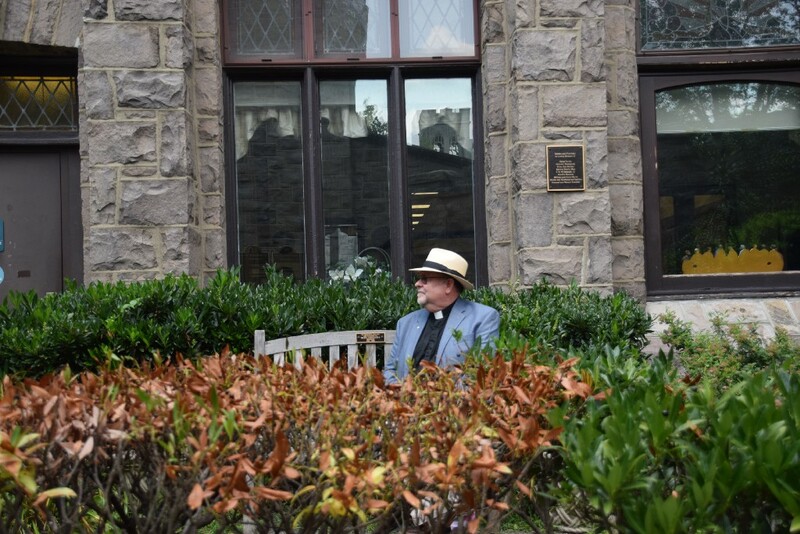 The congregation once consisted primarily of Haddonfield residents, but today, the church pulls from a wide array of towns throughout South Jersey such as Cherry Hill, Voorhees and Woodbury. The congregation consists of between 800 and 900 members, and their reasons for attending are assorted, Close said. Some come to participate in the church’s outreach in Camden, while others are initially attracted to the church’s visually pleasing grounds. The borough of Haddonfield has long been a selling point, Close said. The town’s emphasis on arts, education and family foster an environment that draws people in, he said. Whatever the initial reason, the parishioners come to find that Grace becomes their “spiritual home,” Close said. For Ryan, preserving the legacy of her spiritual home has been at the forefront these past few months. She said the church has volunteers researching the church’s history to compile into “The History of Grace Church in Haddonfield Volume III.” The previous two volumes detailed the church’s history until 1992. Additionally, the committee plans to dig up a time capsule buried on the grounds 25 years ago and put the recovered items on display. The culmination of the committee’s efforts will be revealed at “The Grace Church 175th Anniversary Dinner” at Tavistock Country Club on Sept. 29. Ryan said the dinner will raise funds for the upkeep of the church buildings as well as the church’s programs. For more information on Grace’s anniversary celebrations, visit http://www.gracehaddonfield.org.